We Offer Printing On Demand! 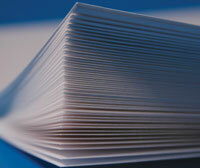 Need 100 copies of your company brochure? 1000 business cards in a hurry? Now with Print-on-Demand, you can have your promotional materials printed in the quantity and timeframe that you need them. Turnaround is usually quicker than traditional methods, and the efficiency of Print-On-Demand means little or no waste from unsold products, outdated information, reduced storage, and handling costs.